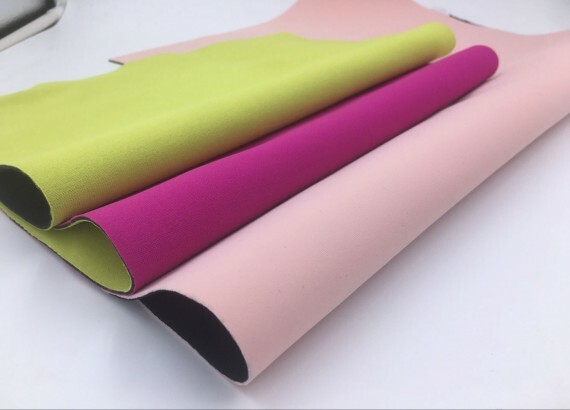 .NYLON - 100% 70D Nylon, standard lamination, provides soft, smooth, good stretch. ·LYCRA - 15% Spandex/85% Nylon, high stretch, shiny and smooth surface. ·TERRY - 100% Nylon, shiny low pile loop. 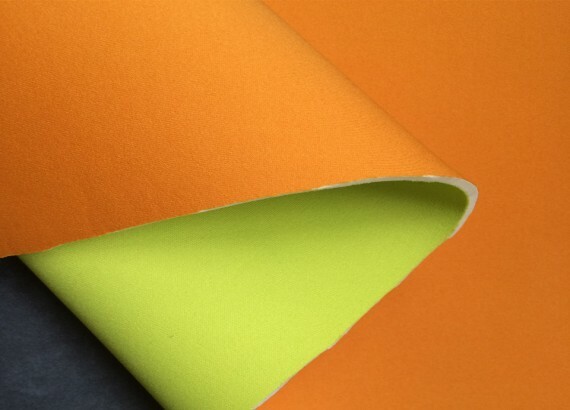 ·POLYURETHANE - PU leather fabric durable surface. ·PRESSURE SENSITIVE - Laminated glue on the skin cell, for purpose of attacking to another fabric or surface. ·SUPER STRETCH - Laminated with 4 way super stretch Nylon or UBL fabrics, super soft and comfortable, with a high amount of stretch. 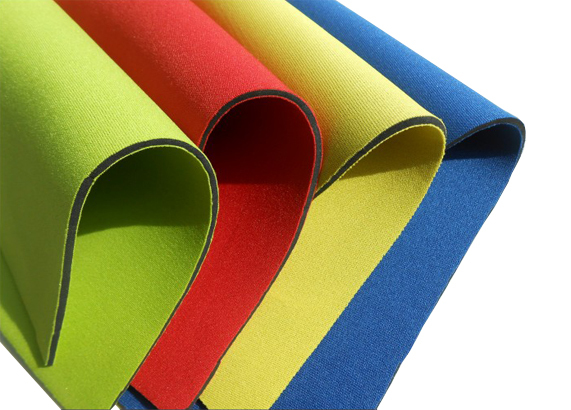 Neoprene is ideal for medical braces and other body applications that call for breathable material. 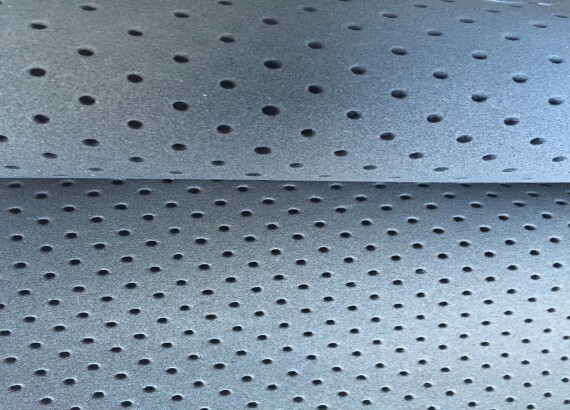 Only the rubber itself is perforated or with fabric perforated. Provides the breathability feature for the products that require ventilation and keep perspiration to a minimum. Different holes diameter and distance available. Used in orthopedic braces or masks when breathability is prefered. 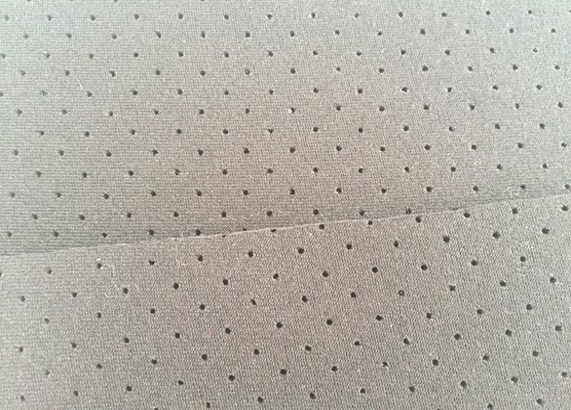 Fabric Embossed are lamination of a rubber sponge and fabric with embossing on the fabric side. The neoprene finished products for embossing processing can enhance the visual effects, as well as waterproof and coldproof. The varieties of colors and patterns are more diversify than cell-embossed and skin-embossed. 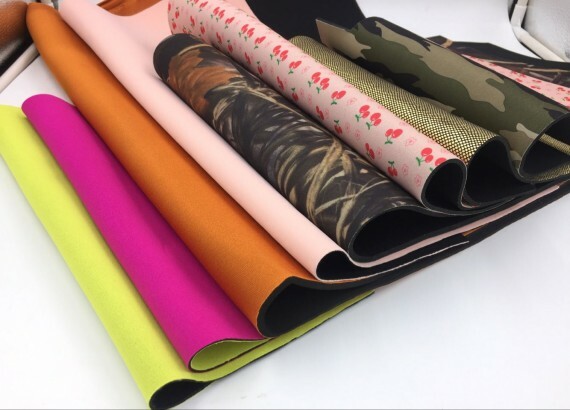 The textures and colors of embossed neoprene can be designed according to customer's needs and requests. 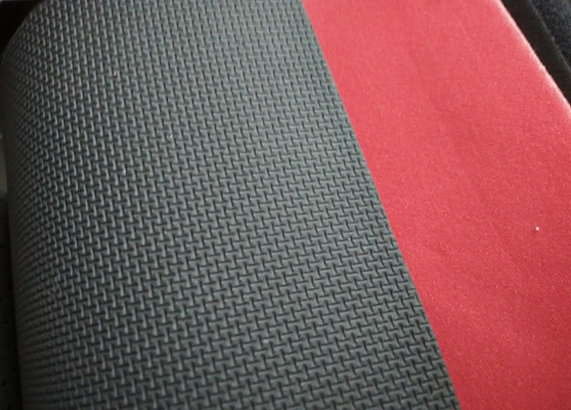 The embossing neoprene also can laminate with other fabrics, such as polyester, shiny terry, ok-t cloth.